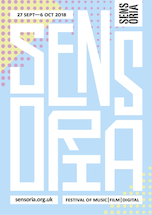 SensoriaPro is our unique, informal gathering of composers, filmmakers, music publishers, music supervisors, games developers and festivals all under one roof to discuss the latest innovations in music and the moving image. A must-attend event with a stunning line up of speakers, direct access to international buyers and informal, friendly networking. The event this year takes place Friday 4 October in the historic Sheffield Town Hall approx. 5 minutes walk from the railway station. This year our packed programme includes Dawn Shadforth talking about her career making music videos and her recent work in tv drama plus an AIF (Association of Independent Festivals) curated session on Music Festivals. The day runs 10.45am – 6.45pm. Don’t miss this limited allocation of Early Bird tickets (tier 2), first-come-first-served or until 6pm on 4 June.